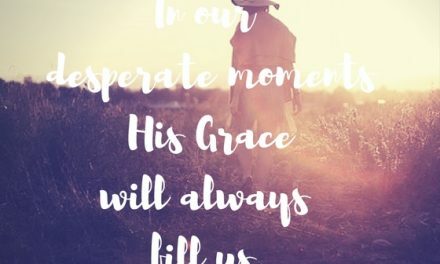 When we walk through seasons of grace…#GraceMoments Link Up. Sometimes I run away from the world. 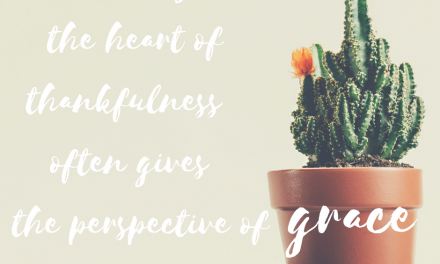 It is a defense mechanism, I know… and I am working on resisting the urge to lace up shoes and escape drama, but it is also a very present grace for me. I know that I need the quiet to recharge my batteries. I know that if I don’t remove myself from a situation where I feel the walls closing in that I may implode, and well…that isn’t good either. The recovering perfectionist in me feels like I should be able to handle change well by now, but I am still such a work in progress. Philippians 1:6 reminds me that He is not done with me. I am grateful. And thankfully, I am learning the art of letting go… even if it is slow. I am eager to let His Word cultivate grace in each moment, I long for more and more grace each day…not because I am good at it but because He is. And relative to my momentary station on in this temporal space, the address of my journey can always be infused with the promises of grace that are ever close. It’s always the hope of the gospel that wins when the world is more than I can handle. And His grace that enables calm in those stormy seasons, stillness in the wilderness places, and praise in the seasons of confusion an sorrow. Balance is essential in this life, isn’t it? A balance of His good in the midst of all things is becoming a go to phrase for me. But in all things, God is always Good. – sed omnia Dei semper bonum. 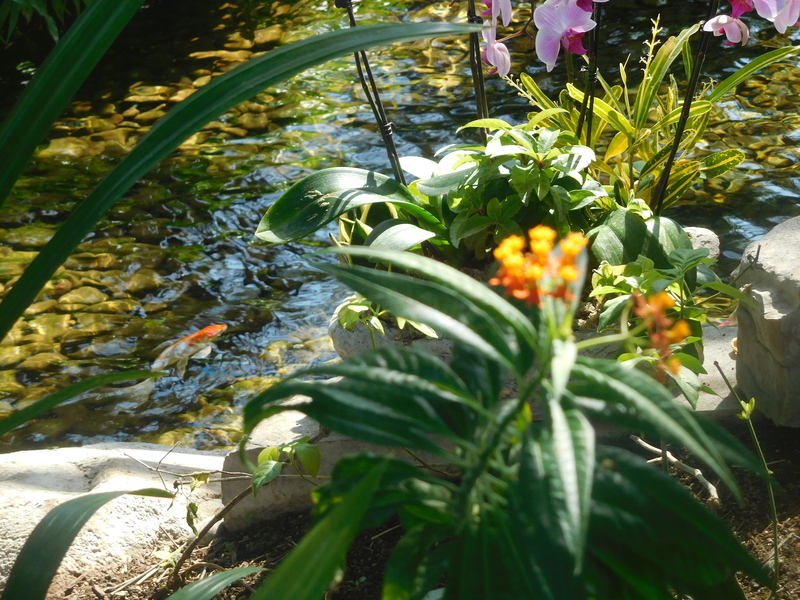 Learning to flow with the seasons of life is a superpower, I think. And recognizing that in all things His goodness reigns still, His providence fully in control at all times…omniscience and omnipotent truth. That is a #gracemoment for sure. Because seasons change and we need to adapt to them. But for every season there is a way to embrace the fullness that is there, because there is always something good to compensate for the less than good. 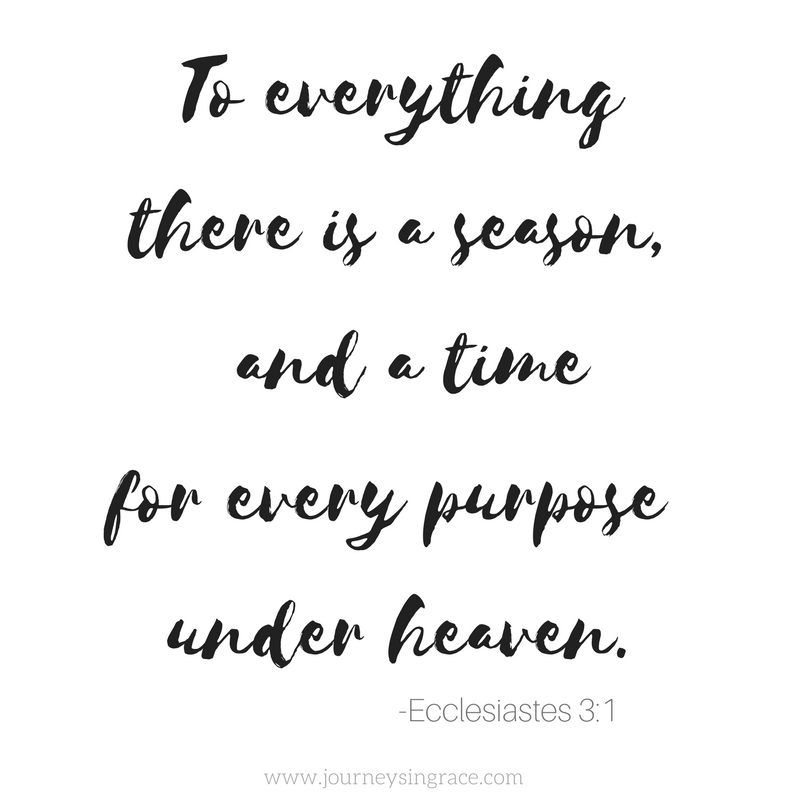 Ecclesiastes talks about the seasons of time having their place… about life’s journey being full of many things that seem in opposition to one another. And perhaps we have to look closely at those words that remind us in all things… in everything and in every season grace is an echo of God’s sovereign provision. Spring break came early for my High School Student. So we ran away to one of our favorite spaces. 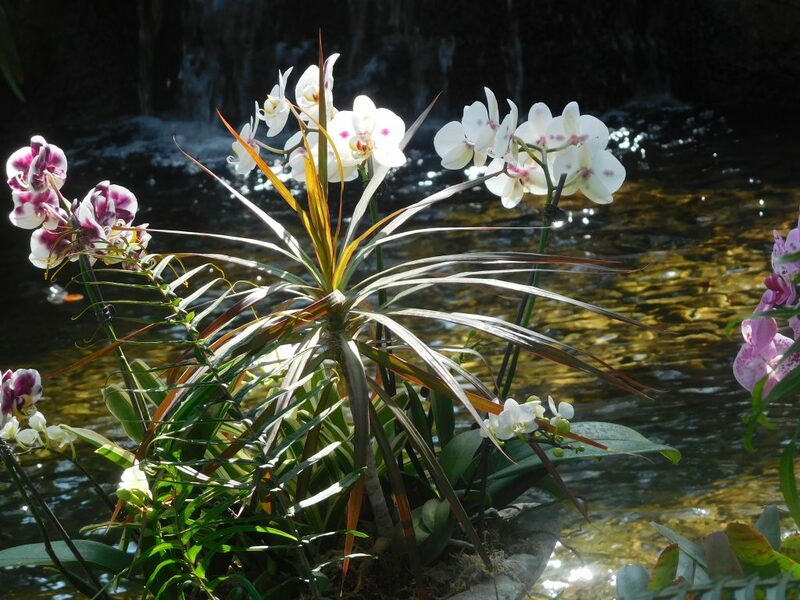 It is usually quiet, most often full of abundant beauty, and always inspires our creativeness. My soul was in need of the respite, but it was so busy that it was hard to find space to sit and just be. And it reminded me that sometimes we need to let go of our preconceived ideas of what is ‘supposed to be’ in order to embrace what really is right in front of us. And sometimes it is ok not to have everything fit into a perfect little box that makes sense at the moment. Because good is where I look for it and grace is always available for me to settle into and hope is an overabundant product of seasons spent bending low and waiting expectantly for God. Either I can choose to look for beauty on my terms or I can choose to let God open my eyes right where I am and see something glorious in the unexpected. I was reminded again that change is not always bad, and reluctant grace is not always grace, and conviction is not always a punishment, and that prayer almost always changes my perspective. And perhaps that is the answer to the transition we need to see in our seasonal changes and in our alterations on the journey. Perhaps this everything timing and all things seasonal searching… prayer is always the fulcrum that faith rests on and hope grows out of. Perhaps the seasons are the chapters where our stories converge and our faith becomes our testimony and grace is cultivated in our souls exponentially. 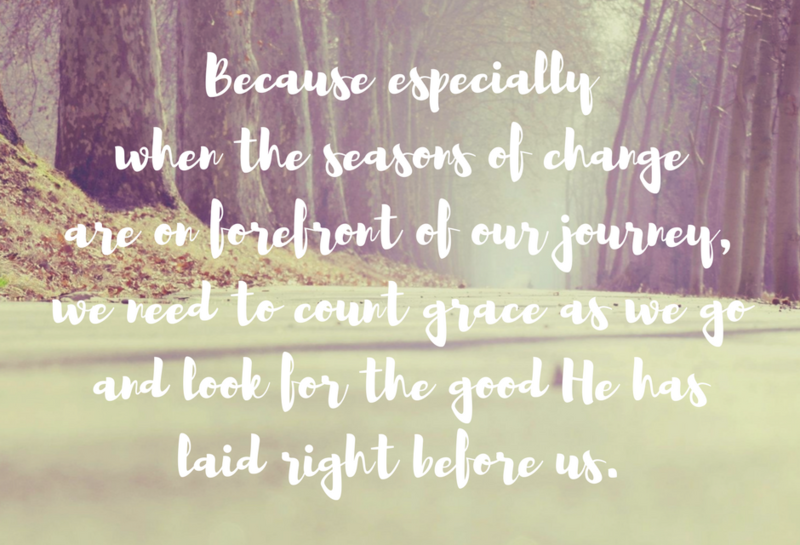 Even though there are seasons in our journey, with moments of comparative degree, His grace for us will carry us on in a forward momentum. The Benson commentary elaborates further on Ecclesiastes 3, saying that we ought to find contentment with the order in which God has placed all things, to observe the opportunity to choose peace whenever possible, to let what we have be enough… to be seasonably responsible with where we are, and to have confidence that Providence is the evidence of grace. The balance of opposites reminds me of the upside down paradox of the Gospel. I remember that loving others is a command that comes right after loving God first, and that forgiveness never depends on someone else’s worth, and that peace can be found in the midst of waves threatening to topple the boats we row, because the faithfulness of God doesn’t depend on the consistency of man. And the seasons, though a facet of the cycle of nature, are a portion of the whole plan of God to redeem and resurrect life from dead things. 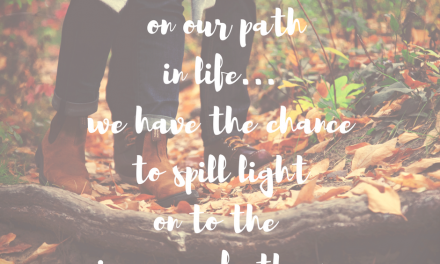 We have the opportunity to choose good things no matter what is before us. We can rest in the midst of the busy, take hope in the waiting in the wilderness, be confident in the valley of darkness, choose grace in every moment. He has a Purpose to bring us closer as we look for him in all things. 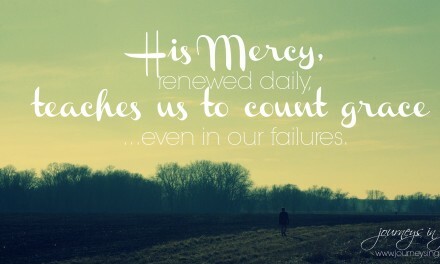 And in all things, we can know that His goodness towards us will never fail. And there, right in those moments when I want to fight change, or escape into solitude from the transition, and I wrestle close with my own selfish humanity, His mercy provides grace through compassion to bring me through every new season. Because by His Providence offers hope to guide us… provide for us… and redeem us through the set times and the seasons of our journey. 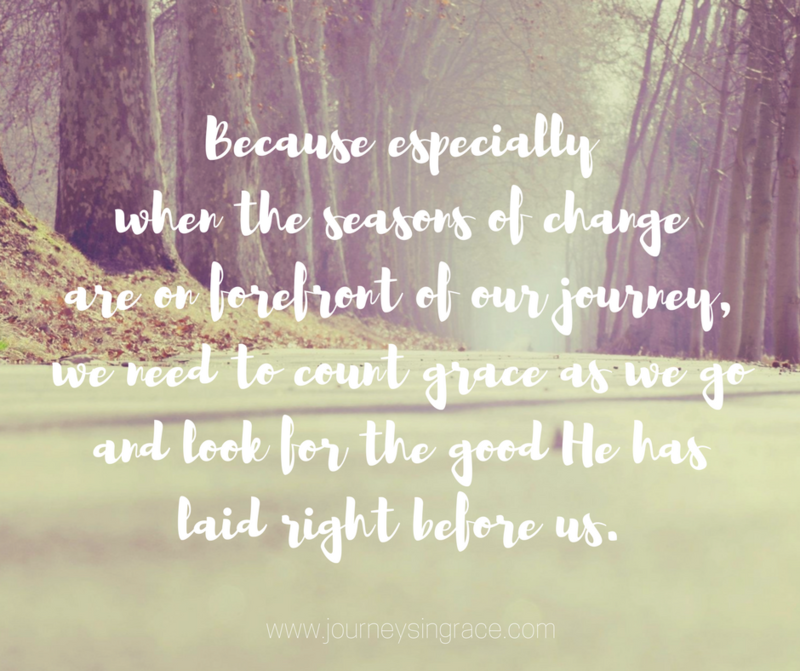 How are you counting grace through the seasons of your journey? When we are desperate for grace. I’m very late to the party — yesterday was a never-ending day — but still wanted to pop in, read your words, and say hello. Hi Dawn, thanks for pointing us to God’s grace in all seasons. Praying at all times, as the scripture you shared points us to, is key to recognizing God’s grace for me! Thanks for the link up! We are on the same wavelength here Dawn. This season for me is all about being present and this week’s post all about our moments. Happy to have found your corner of the world from RUW! 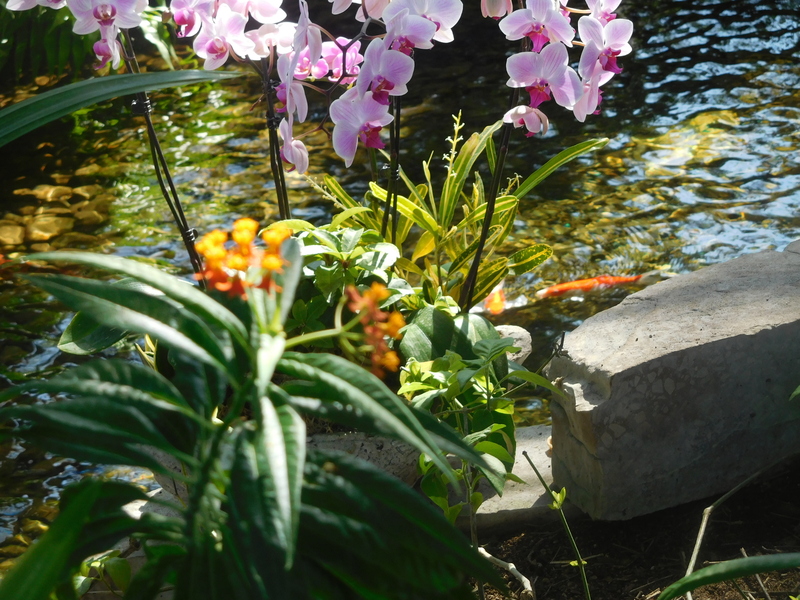 The gorgeous pics in this post ministered to me as well as your thoughful words. Thank you. Our temperaments are so very similar! Either I can choose to look for beauty on my terms or I can choose to let God open my eyes right where I am and see something glorious in the unexpected. In choosing this attitude, God never fails to surprise me with unexpected beauty.